Pittsburgh is without Malkin. I wonder how much that will impact their season because sometimes when impact players are out a team's record is worse than when the impact player is on the ice. He may be out for the season. Said week to week not day to day so it's not some injury that will get better after a game or two. Concussion? I never saw the injury I just know it's upper body. Regardless, we need to have our A game ready. Pittsburgh already beat us at home this year; let's get revenge on them and win this final meeting (not of the season but at home) on home ice. We need wins during this homestand. I can't keep saying how important this homestand (because of the opposition we're facing) is to really make some noise in the playoff race. Seven of our last 11 games at home. We really need to take advantage of that. He took a cross check to the ribs by Bortuzzo of the Blues...so probably a serious rib strain. From experience, those hurt...and take awhile to heal. This is why we watch the game. We can’t have another slow start. Jump on them quick and play with a lead. We need to play with the hunger and desperation of a team that hasn’t played in playoffs since 2009. Please,please give us a win tonight! Go Canes! No time for scoreboard watching tonight. It's time to take care of business. Man I thought Weird Al retired, didn't know he had become painfully terrible. This one feels big. Maybe because it is. I know that we don't want to scoreboard watch, but the scoreboard could really help us out. So out of the corner of our eye at least, a win here with a good scoreboard would put us in a really nice position. The last couple have not been our A game IMO, but we've still found a way. I'd like to see the A game tonight. Never was a fan. He had a couple of funny songs, but how long can you go to the same well to drink before it dries up? We have a bunch of Canadians on the team...don’t you mean “eh” game? It's time to send a message to the rest of the league. "We are here to win, and win big." to be dress rehearsals for the real deal. I'm really excited about tonight and I'm sure the team is as well. 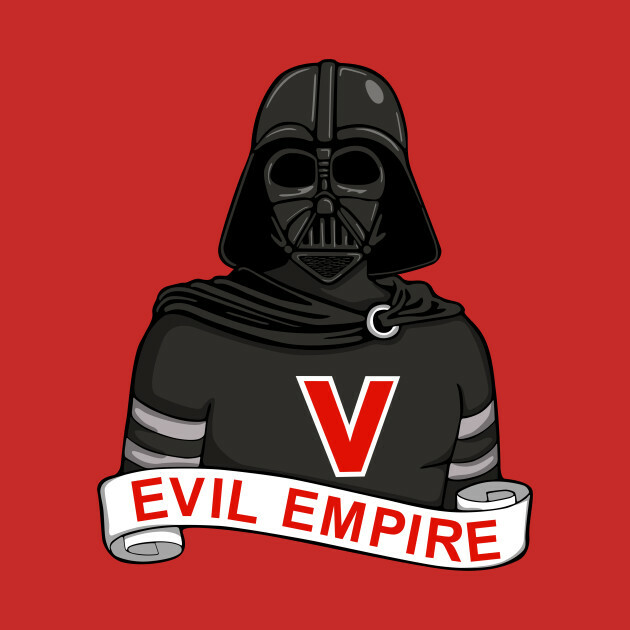 I don't call them the evil empire because empire is in the name. An empire rules for decades. They win sometimes. If anything they have underachieved given the insanely lucky leg up of Crosby and Malkin on the same team. They are a team built around a highly talented competitive punk,. A team who thinks they can turn it on whenever they need to. A team with a depleted D Corp who wasn't anywhere near as good as our D Corp even when healthy. With Malkin out and their situation we should win, and I expect to. It's time we stop affording them the respect that they are something they are not, an empire, and just beat them like a rented mule, just like we did 6 weeks ago. It's not a playoff game but I'll be shocked if it's not playoff level intensity. Foot on the gas pedal and hopefully the puck bounces our way, I want to see another celly! This one is pretty funny IMO. Very different from the ones above. It mentions hockey too. Imagine he's singing to the Marley girl and it's even better. And not only is Weird Al around, he's coming to Cary July 3rd. If I were a betting man, this is the game that makes or breaks the season. If we win this I find it highly likely that we are in. If we don't then I fear our chances will soon diminish afterwards. Our Canes can’t scoreboard watch but I sure will be. Especially since I live out of market and don’t get to see games. I depend on NHL cut ins and highlights. Hopefully the usual center ice preview starts soon since baseball is starting soon. Go Canes! Some good parodies , and a good turn at George Fest in 2014.